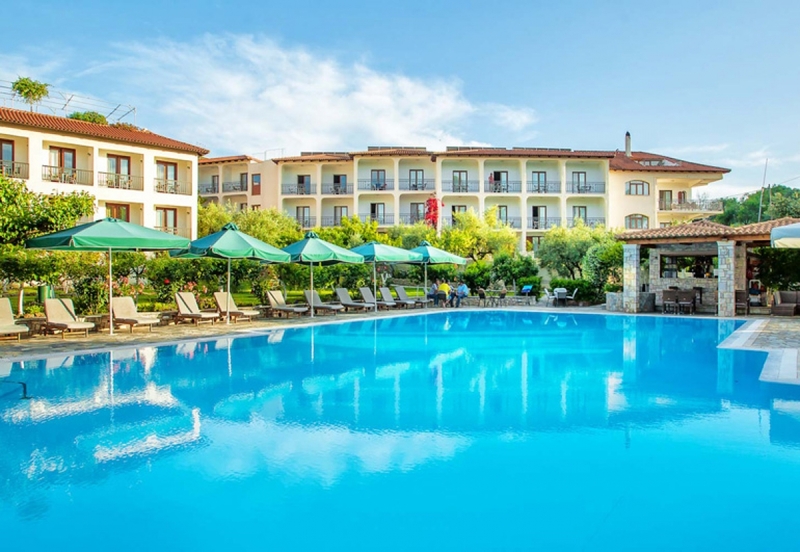 Hotel Europa is built on the top of Drouvas Hill in Ancient Olympia, at the foot of which lies the sacred Altis, which encompasses the most eminent and significant buildings and monuments as well as the ancient stadium of Olympia, where the Olympic Games were held. Visitors can admire a valley of outstanding beauty spreading between two rivers, the Alpheus and the Cladeus. A visit in Ancient Olympia is enough to experience the harmony of the setting and feel the vibes realizing that this place was not accidentally named as sacred. 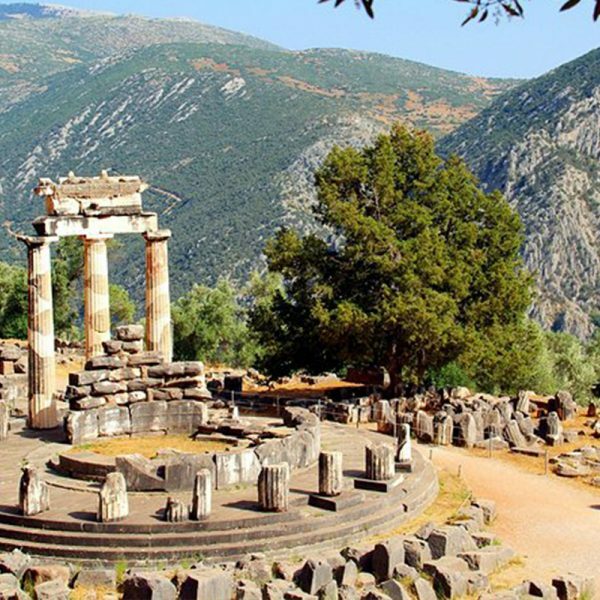 The site was considered to be the most prominent and praised sanctuary in ancient Greece, dedicated to Zeus, the father of the Olympian gods and Olympia became the most important religious centre in Greece. The area became the most significant athletic centre, as well, since it is the birthplace of the Olympic Games, the most prestigious athletic event in the world. The ancient Olympics were held every four years in honor of Zeus and in a spirit of noble emulation. 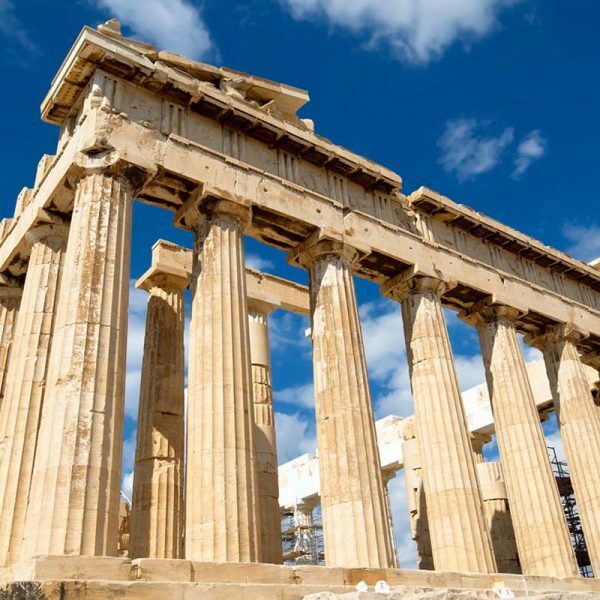 Historical records indicate that the first Olympic Games took place in this ground in 776 BC. During the Games an Olympic truce was enacted so that athletes could travel in safety in order to attend the Olympics or participate in this glorious event. The winners received an olive wreath also known as “kotinos” as their reward. 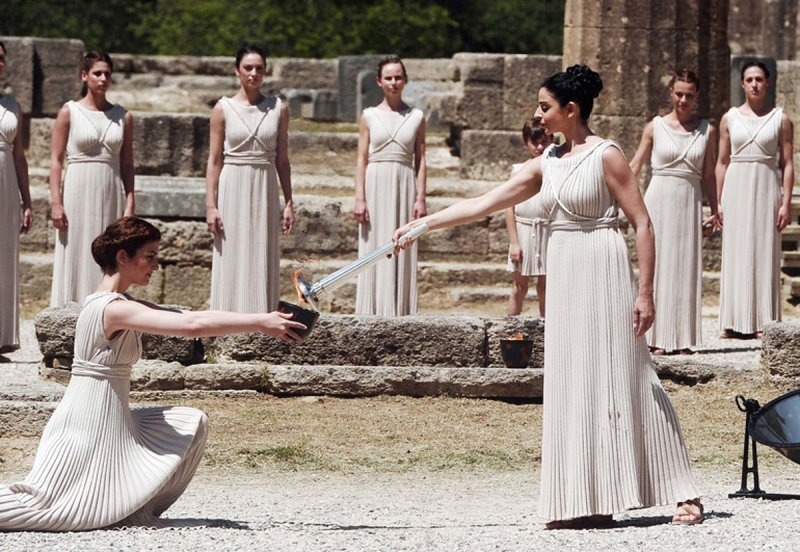 Since their revival in 1896, the modern Olympic Games are the leading international athletic event and every four years the Olympic flame is lit here, in ancient Olympia before beginning its journey to the city that will host the next Olympic Games. 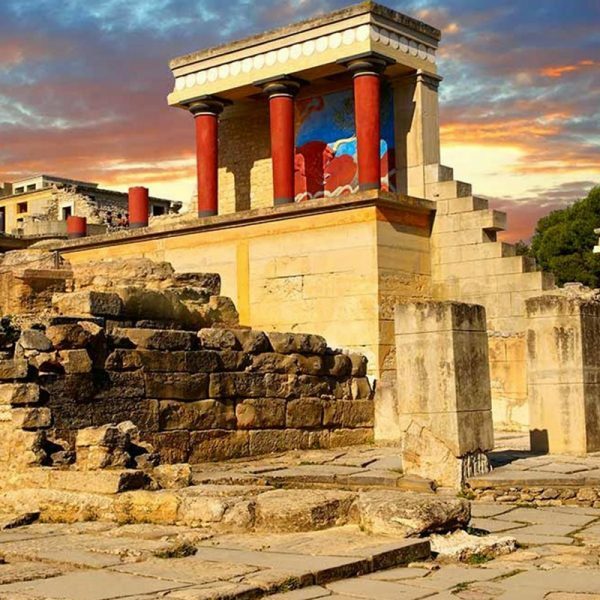 There are two museums in ancient Olympia, the Archaeological Museum and the Museum of the History of the Olympic Games hosting findings and treasures that reflect the grandeur of ancient Greek civilization. 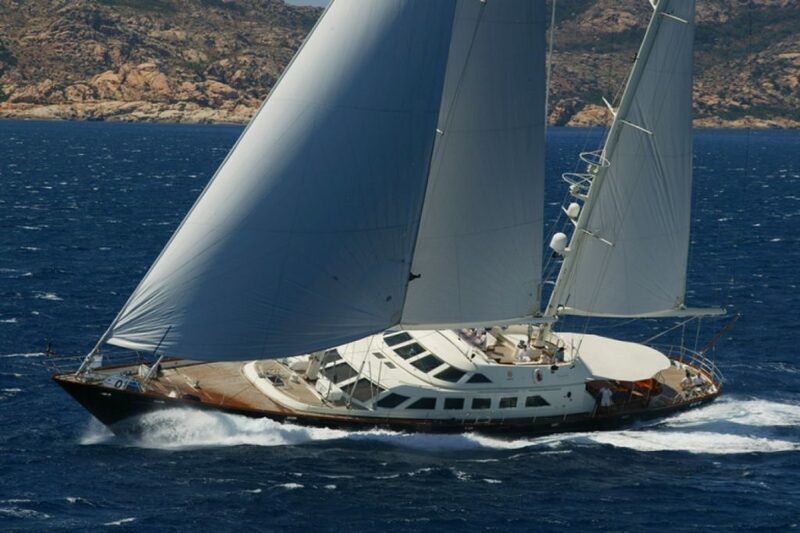 Olympia is less than four hours from Athens and just an hour from the port of Patras or Kalamata airport. 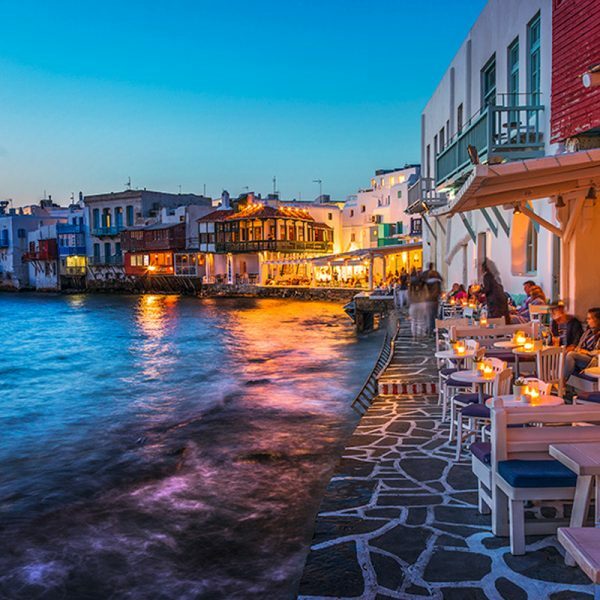 The natural beauties of western Peloponnese such as mountains, gorges, rivers, waterfalls, lakes, beautiful beaches, picturesque villages, olive groves and citrus trees will captivate visitors and amply repay any amount of time spent here. The climate is wonderful all year round and Kaiafas beach is 15 to 20 minutes from the hotel by car. Hotel EUROPA offers a wide range of activities and unique delights. Apart from the renowned archaeological site of Olympia and the numberless museums, visitors can attend a treasury of events, such as the Ancient Olympia Festival from July to August as well as the Alpheus Eco-festival during August. Nature lovers can explore the enchanting and astonishingly intact natural surroundings of the river Alpheus and the Nemouta waterfalls, enjoy a relaxing bath in the limpid, azure waters of the Kato Samiko tropical beach or unwind in the curative thermal springs of Kaiafas. For sports enthusiasts, there is an abundance of activities, such as rafting, kayak, cycling, trekking at Olympia’s hills or skiing on the slopes of Mt. Helmos (1.5 hour by car). 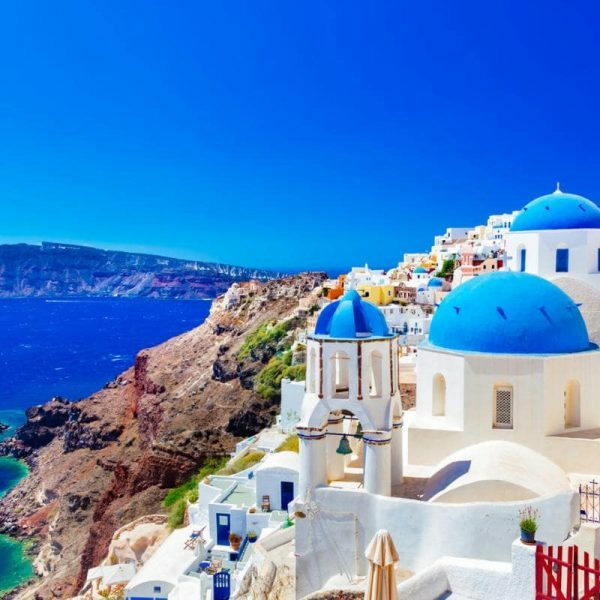 Don’t forget to visit the wide range of churches, monasteries, folklore museums and picturesque villages, castles, caves and historical monuments of the Greek War of Independence in 1821, swim in the pristine waters of the Ionian Sea, unwind in the miraculous thermal spas of the area and embark on a gastronomical journey tasting local specialties. Ancient Olympia is an excellent base for excursions to nearby destinations. It is only 33km from Katakolo port, 60 km from the Temple of Apollo Epicurius, 75km from Ancient Ilida and 60km from Chlemoutsi castle. 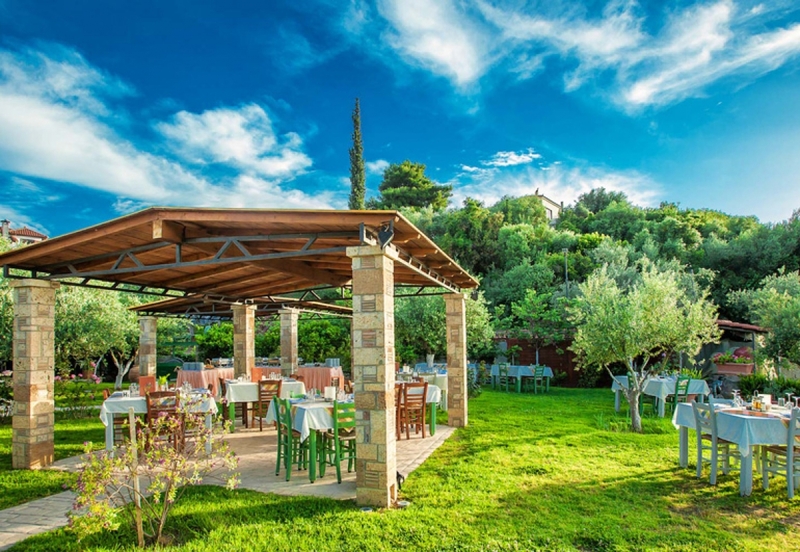 The traditional Greek tavern “the Garden” is famous throughout Peloponnese for its exquisite cuisine, the idyllic ambience and the unbeatable service. The tavern is a favorite summer hangout since it is open from June to September. The “Garden” is located by the pool and amidst a blooming garden. This superb setting is complemented by stunning views of the ‘Valley of Gods’. Enjoy your dinner under a magnificent canopy of stars savoring the breeze and tranquility of the natural surroundings. The “Garden” is a culinary point of reference for both locals and guests offering a feast of tastes and flavors inspired by Mediterranean cuisine. Experience Greek fare with a traditional twist prepared with natural and organic ingredients and served in generous proportions catering for all culinary needs. Don’t miss the Greek barbecue nights accompanied by a festive atmosphere and an array of exceptional wines. Unwind in the stylish interior of the main restaurant and enjoy a hearty breakfast or dine from a sumptuous buffet. Hotels friendly and qualified personnel will provide you with a wide range of a la carte, high-quality culinary delights. Enjoy your lunch or dinner either indoors or on the large veranda while admiring the sun sinking into the turquoise waters of the Ionian Sea behind the Arcadian mountains. Europa Hotels breakfast buffet offers an impressive variety of Greek homemade delicacies and local specialties, such as traditional pies, desserts, pastries, cookies, cakes, pure honey, different flavors of marmalade, several types of warm bread, toast, olives, cereal, butter, local dairy products, fresh fruit, juice and aromatic coffee, which will boost your energy levels and help you start your day on the right foot. For lunch or dinner hotel’s chef invites you on a gastronomic journey featuring a fusion of Greek, Mediterranean and international cuisine. Try a wide range of skillfully prepared traditional dishes based on local products and discover the culinary treasures of the region. 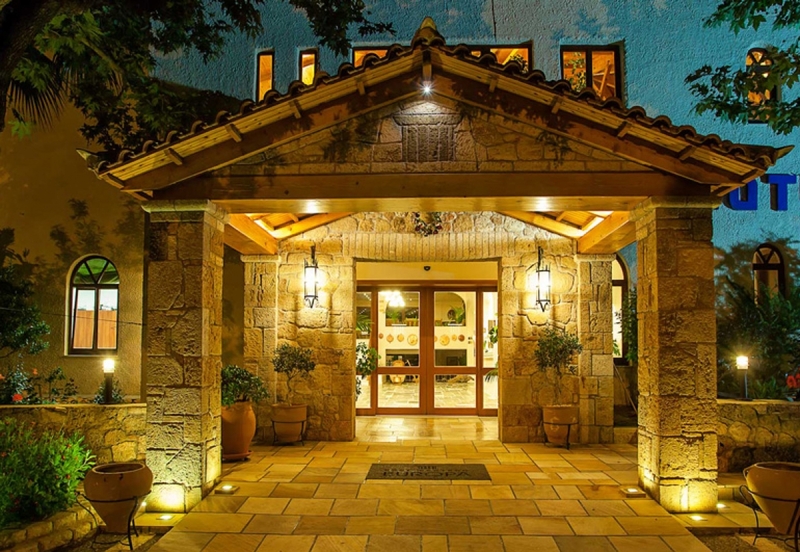 Europa hotel comprises two indoor bars and a pool bar as well as a TV lounge room. Either alone or with company, you can enjoy moments of fun and relaxation in one of the hotel’s bars. The wonderful music selections, the wide range of drinks and the pulsating ambience will fill your nights with joy turning your holiday into an unforgettable experience. The pool bar, amid a lush garden and beside the swimming pool, offers invigorating refreshments, aromatic coffee, fresh juice, imaginative drinks, explosive cocktails, snacks and light meals all day long.